In the winter of 1994, three spelunkers exploring the Pyrenees Mountains in southern France noticed an updraft coming out of a small opening in the cliffs. They followed the airflow and ultimately found themselves in a massive underground cavern. 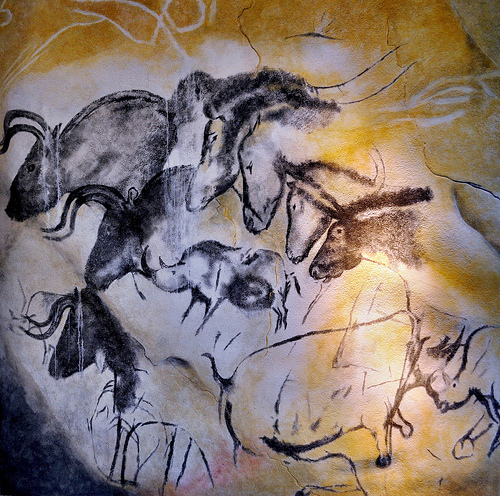 Awaiting them there was one of the greatest cultural discoveries of the 20th century: vivid images on the cave walls of bison, running horses, hunting lions and other animals, together with evocative human handprints in red ochre – images that had gone unseen for 25,000 years. For me, these paintings of the Chauvet Caves – at once both primitive and timeless – have an important message for managers seeking to establish relevant leadership today. Consider the context: The shamans who made these paintings – along with the community they led – lived in a frightening world governed by unpredictable forces. Ferocious beasts attacked and killed their loved ones. The animals they relied on for food were abundant one year, scarce the next – and always faster and more powerful then they were, requiring skills and experience accumulated over generations for a successful hunt. The painted depictions created by the shamans allowed the people to exercise some measure of control over the beasts that governed their world. They also served as a reminder of the community’s collective knowledge, reinforcing their sense of identity and continuity, and providing shared meaning and purpose. The shamans served as integrators; they created alignment between members of the tribe and the broader community. They provided the common values, beliefs and ways of behaving that gave the community a larger sense of purpose that went beyond individual needs and conflicts. The more aligned the tribe, the more assured their survival. Not so very different: In today’s world, a predicted recovery in the U.S. sputters and stalls, affected by far-away events such as the debt crises in Europe and political upheaval in the Middle East. Technological change disrupts or even dooms existing markets and opens up brand new ones at an astonishingly fast pace. Competitive challenges appear almost overnight from previously unknown businesses in emerging economies. In our global, interconnected marketplace, threats that cannot be foreseen can emerge from anywhere – and tried and true solutions no longer seem to work. It is what the U.S. military, in its acronymic wisdom, calls a VUCA world – volatile, unpredictable, complex and ambiguous – very much like the threatening world faced by the cave painters 250 centuries ago. And leaders today can take a lesson from the cave painters of long ago. I’m not recommending you decorate your boardroom with the likenesses of your competitor’s CEO, although I suppose that couldn’t hurt. But the message you can and should take away concerns the importance of giving your community – your business team – a sense of their place in the world. This leader helped his laid-off co-workers discover a deeper meaning in a difficult event. In a VUCA world, that’s exactly what leaders must provide: a sense of purpose, and a global context that gives every individual’s work a broader meaning and deeper importance. • Know yourself: The tree that survives the strongest winds has the deepest roots. What are the qualities that characterize you personally as a leader? What values most define you? What are your non-negotiables? What deeply energizes you and motivates you to action? What is your purpose? Answering these questions may provide you with some profound insights into who you are – your self-image – and will help you build a compelling vision that others will recognize and feel in themselves. • Know your role: When we love what we do, our role is perfectly aligned with our self-image. Who we are and what we do are one and the same. The truth is some leaders don’t see themselves as leaders even though the job title says they are. To create stronger alignment, leaders first need to build a deeper understanding of their role. Get multiple perspectives on what others expect from you. What does your staff want from you? What about your boss and your customers? Finally, look for ways that you can incorporate more elements of your self-image into your role. It will help you feel more alive, motivated and inspired. • Change your context and relationships: Hang out more with the people who can see the leader in you. Other people’s image of you can inspire you to greatness, but it can also hold you back. Choose your role models carefully and surround yourself with people who will show you the leader you can become. Image attributed to The Adventurous Eye. This is a great article, Rick; thanks. 'Absolutely agree that in theis "VACU" world the "tribes" (a.k.a organizations) with the strongest identity and best alignment will be those that survive and thrive. 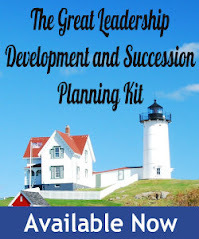 You and your readers might like http://www.integro-inc.com/About/NavigatingIntegrityBook.aspx Much of its focus is about developing more "integrious" leaders and organizations.